Kick & Push Plates are a simple, economical solution to protecting your existing doors. 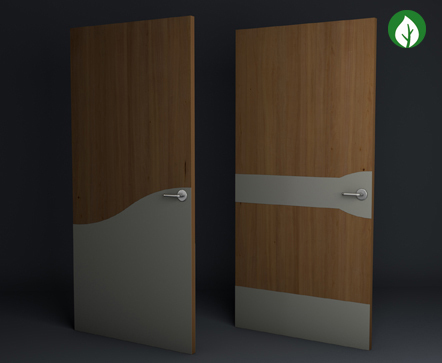 Providing vital protection to the most used, and most vulnerable areas of a door, kick & push plates absorb impact and abrasions so the door doesn’t have too. CS Acrovyn® Kick & Push plates are custom made to your specification from 2mm Acrovyn® sheet or 1.5mm PVC-Free Acrovyn® 4000 sheet. Any size, any shape, any position Acrovyn® Kick & Push plates make a feature of any existing door, whilst providing essential protection for the door, and your maintenance budget.